On May 03, 2014, I chanced upon a very rare gomphid, the very elusive leptogomphus risi, at the small stream at Dairy Farm Nature Reserve. 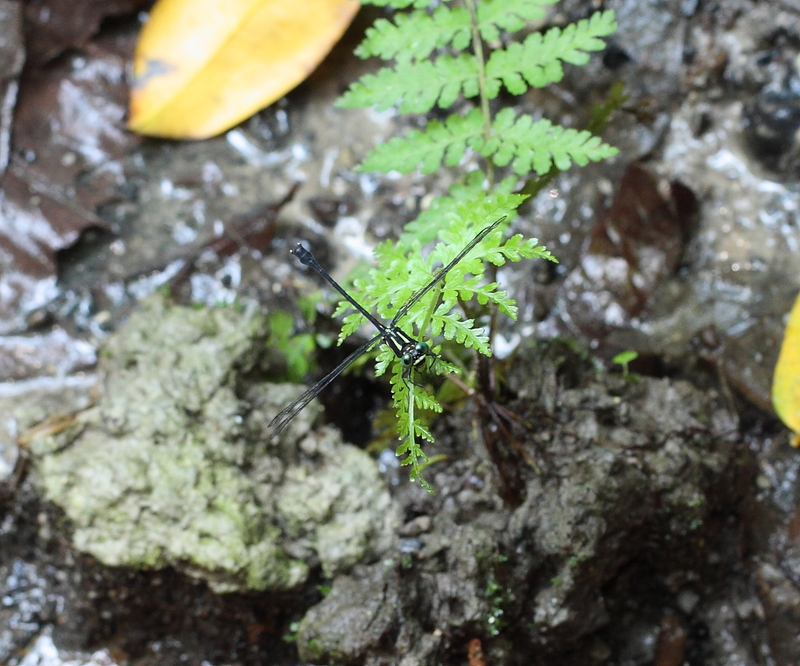 This is a male specimen which so far, has only been recorded once in the forest at Rifle Range Road on 7th of March 2004, mentioned in Tang’s book of Singapore Dragonflies. 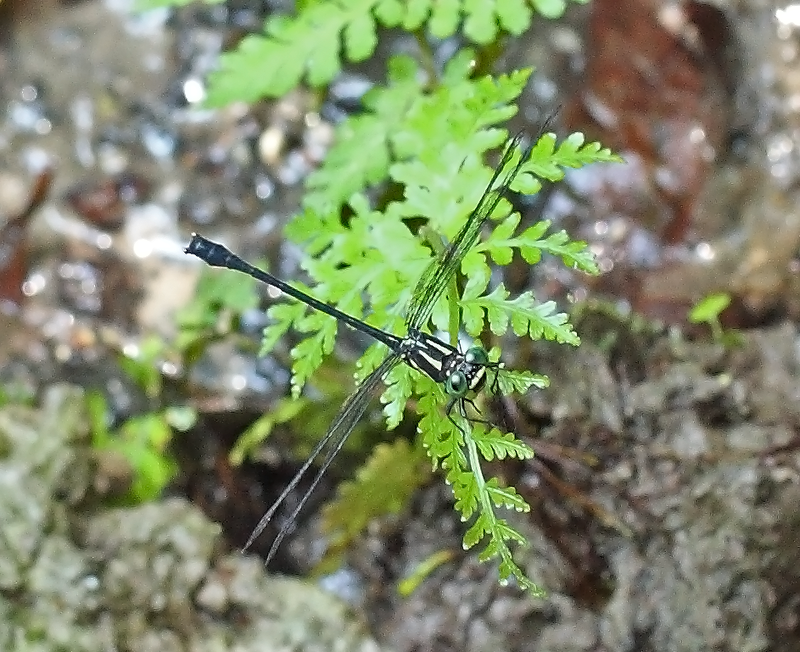 The male was resting on top of a fern plant very close to the stream. It is a small stream with slow flowing running water, deep in the heavily shaded forest in the Nature Reserves. This was my first sighting of a gomphid species at that part of the nature reserves. It was regretted that I only have a few long distance shots of this male due to the fact that I only have my 100mm macro lens on hand and the dragonfly was actually perching very near to the stream while I was standing on an elevated ground of at least 2-3 metres away from the stream. After having taken a few long distance shots, I decided to go down to the stream for a closer look but on my way down, my movements frightened the dragonfly and it disappeared soon after. I hope this dragonfly is still at the vicinity and I will try my luck again next time. This shows how small it is from where I took this long distance shots.